Full name is Hector Velázquez ... He and his wife, Asamary Osobampo, have 2 sons, Hector Emilio (born May 2015) and Josue Mateo (born December 2018). Spent the majority of the season with the Red Sox, going 7-2 with a 3.18 ERA (30 ER/85.0 IP) over 8 starts and 39 relief appearances ... Made his 1st career Opening Day roster and spent the entire season with the ML club, working between the starting rotation and the bullpen ... Was 2-2 with a 4.15 ERA (14 ER/30.1 IP) in 8 starts for BOS, with the Red Sox going 5-3 in those outings ... Did not allow more than 3 ER in any of his 8 starts ... Was 5-0 with a 2.63 ERA (16 ER/54.2 IP) in 39 relief appearances ... Among AL relievers, finished T-9th in ERA ... Among AL rookies, ranked T-6th in wins (7), 8th in appearances (47), and 10th in innings (85.0) ... Stranded 12 of 19 inherited runners ... Worked more than 1.0 inning in 16 of his 39 relief appearances ... Earned 5 wins over a span of 10 appearances (2 starts) from 4/1-5/13 ... Made his season debut in a start and earned the win on 4/1 at TB, going a career-high 5.2 IP (ER, 5 SO) ... Earned a win in his 2nd start of the season (4/14 vs. BAL) ... Won each of his 7 decisions from 4/1-7/30, tied for the longest win streak by a BOS pitcher in 2018 (also Chris Sale) ... Tied for the 2nd-longest win streak in the AL ... Dating back to 6/14/17, won 10 consecutive decisions, marking MLB's longest active win streak prior to his loss on 8/19 vs. TB ... It was the longest win streak by a BOS pitcher since Joe Kelly won 15 straight decisions from 2015-17 ... Was on the DL with a low back strain from 5/14-23 ... Made 1 rehab appearance with Triple-A Pawtucket on 5/21 vs. Scranton/Wilkes-Barre ... Ended the season with 6 scoreless appearances out of the bullpen (5.1 IP), beginning on 9/11 ... Following the season, pitched for the MLB team in the 6-game Japan All-Star Series in November ... Made his lone appearance on 11/14 against Samurai Japan, throwing the 6th-7th innings (2.0 IP, 4 H, 4 R/2 ER, 2 SO) ... Also pitched in an exhibition game against the Yomiuri Giants on 11/18 at Tokyo Dome ... Started that game and earned the win, a 9-6 victory for the MLB All-Stars (2.0 IP, 2 H, 0 R, 0 BB, 3 SO). Spent most of his debut season in the U.S. with Triple-A Pawtucket, but appeared in 8 ML games (3 starts) over 5 stints with BOS...Allowed 6 ER in 5.0 IP in his ML debut on 5/18 at OAK (start), but went 3-0 with a 0.92 ERA (2 ER/19.2 IP) in his remaining ML games. Did not allow a run in his final 13.1 IP in the majors. Between BOS and Triple-A Pawtucket, did not allow a run in his final 17.0 IP (beginning 8/18). In 5 ML relief appearances, went 3-0 with a 0.00 ERA (10.1 IP)...Is the only BOS pitcher-and 1 of only 5 ML pitchers-since 1913 to earn a win in each of his first 3 career relief appearances (last: Alexi Ogando in 2010). Also went 8-4 with a 2.21 ERA (25 ER/102.0 IP) and a .213 opponent AVG in 19 starts with the PawSox. Made 8 scoreless starts of 5.0+ innings for Pawtucket. Led Pawtucket pitchers in starts...His 2.21 ERA and 1.00 WHIP were the lowest among PawSox pitchers who made at least 1 start...Also ranked 3rd among club leaders in wins and innings. Began the season with the PawSox and posted a 1.55 ERA (5 ER/29.0 IP) in his first 5 starts. Made his U.S. debut on 4/11 vs. Syracuse (4.2 IP, 3 ER)...Each of his next 3 outings was scoreless (17.1 IP). Threw 6.0 perfect innings on 4/30 vs. Gwinnett...Selected to the ML roster on 5/18 and started that night at OAK, suffering the loss (5.0 IP, 9 H, 6 ER, 3 HR, 2 BB, 4 SO)...Optioned to Pawtucket on 5/23. Allowed 0 runs in 13.0 IP over 3 starts for the PawSox from 6/1-10 before returning to BOS on 6/14... Earned the win that night at PHI after allowing only 1 hit in 3.1 scoreless innings of relief. Made his 2nd ML start on 6/19 at KC but did not factor into the decision (5.1 IP, 5 H, 2 ER, 0 BB, 3 SO). Optioned to Pawtucket following the Sox' game vs. LAA on 6/23. Recalled by BOS on 7/18 and earned the win that night vs. TOR after pitching the final 4.0 innings of a 5-4, 15-inning victory over the Blue Jays (0 R, 2 H, 1 BB, 3 SO)...Optioned to Pawtucket after the game. Allowed 0 runs in his final 10.0 IP with the PawSox. Surrendered 1 hit in 7.0 scoreless innings on 8/27 vs. Lehigh Valley. Recalled by BOS on 9/3 and made 4 more appearances with the club...In the Sox' 3-2, 19-inning win vs. TOR on 9/5, earned the win after pitching a scoreless 19th. Started the Sox' season finale on 10/1 vs. HOU and threw 4.0 shutout innings (3 H, 2 BB, 4 SO). Following the season, allowed only 2 ER in 25.0 IP (0.72 ERA) in 6 starts for Navojoa in the Mexican Winter League, including 3 postseason starts...Earned 2 postseason wins, helping Navojoa reach the finals. May 24, 2018 Boston Red Sox activated RHP Hector Velazquez from the 10-day disabled list. May 19, 2018 Boston Red Sox sent RHP Hector Velazquez on a rehab assignment to Pawtucket Red Sox. May 14, 2018 Boston Red Sox placed RHP Hector Velazquez on the 10-day disabled list. Lower back strain. December 15, 2017 RHP Hector Velazquez assigned to Mayos de Navojoa. October 12, 2017 Boston Red Sox activated RHP Hector Velazquez. October 5, 2017 Boston Red Sox reassigned RHP Hector Velazquez to the minor leagues. September 3, 2017 Boston Red Sox recalled RHP Hector Velazquez from Pawtucket Red Sox. August 24, 2017 Boston Red Sox optioned RHP Hector Velazquez to Pawtucket Red Sox. August 22, 2017 Boston Red Sox recalled Hector Velazquez from Pawtucket Red Sox. July 19, 2017 Boston Red Sox optioned RHP Hector Velazquez to Pawtucket Red Sox. July 18, 2017 Boston Red Sox recalled Hector Velazquez from Pawtucket Red Sox. June 24, 2017 Boston Red Sox optioned RHP Hector Velazquez to Pawtucket Red Sox. June 14, 2017 Boston Red Sox recalled Hector Velazquez from Pawtucket Red Sox. May 23, 2017 Boston Red Sox optioned RHP Hector Velazquez to Pawtucket Red Sox. May 18, 2017 Boston Red Sox selected the contract of Hector Velazquez from Pawtucket Red Sox. 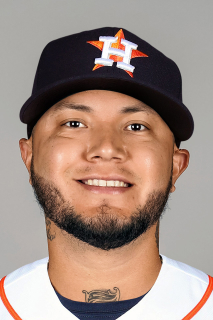 February 26, 2017 RHP Hector Velazquez assigned to Boston Red Sox. February 18, 2017 Boston Red Sox selected the contract of RHP Hector Velazquez from Piratas de Campeche. February 18, 2017 RHP Hector Velazquez assigned to Pawtucket Red Sox. January 29, 2017 RHP Hector Velazquez assigned to Mexico. January 10, 2017 RHP Hector Velazquez transferred to Aguilas de Mexicali from Mayos de Navojoa. September 19, 2016 RHP Hector Velazquez returned to Piratas de Campeche from Acereros del Norte. July 8, 2016 Acereros del Norte activated RHP Hector Velazquez. June 29, 2016 Acereros del Norte placed RHP Hector Velazquez on the reserve list. December 23, 2015 Mayos de Navojoa activated RHP Hector Velazquez. December 15, 2015 Mayos de Navojoa placed RHP Hector Velazquez on the reserve list. October 21, 2015 Piratas de Campeche traded 2B Adan Velazquez and RHP Hector Velazquez to Acereros del Norte. April 1, 2015 Piratas de Campeche activated RHP Hector Velazquez. February 6, 2015 Piratas de Campeche placed RHP Hector Velazquez on the reserve list. October 21, 2014 Mayos de Navojoa activated RHP Hector Velazquez. October 21, 2014 Mayos de Navojoa placed RHP Hector Velazquez on the reserve list. October 7, 2013 RHP Hector Velazquez assigned to Mayos de Navojoa. October 9, 2012 RHP Hector Velazquez assigned to Mayos de Navojoa. March 15, 2012 Piratas de Campeche activated RHP Hector Velazquez. December 1, 2011 Yaquis de Obregon placed RHP Hector Velazquez on the reserve list. April 14, 2011 Piratas de Campeche placed RHP Hector Velazquez on the reserve list. October 6, 2010 RHP Hector Velazquez assigned to Yaquis de Obregon. July 9, 2010 Hector Velazquez roster status changed by Piratas de Campeche. July 6, 2010 Hector Velazquez roster status changed by Piratas de Campeche. July 3, 2010 Hector Velazquez roster status changed by Piratas de Campeche. June 25, 2010 Piratas de Campeche placed Hector Velazquez on the reserve list. June 17, 2010 Hector Velazquez roster status changed by Piratas de Campeche. June 11, 2010 Hector Velazquez roster status changed by Piratas de Campeche. June 1, 2010 Piratas de Campeche placed Hector Velazquez on the reserve list. May 23, 2010 Hector Velazquez roster status changed by Piratas de Campeche. April 30, 2010 Hector Velazquez roster status changed by Piratas de Campeche. April 27, 2010 Piratas de Campeche placed Hector Velazquez on the reserve list. March 16, 2010 Piratas de Campeche signed free agent RHP Hector Velazquez.